Welcome to the Hilton Santa Barbara Beachfront Resort, our scenic luxurious escape and host hotel for Treffen Santa Barbara! We invite you to join us as we Tour the American Riviera and experience the majestic Central California landscape. From the distinctive Santa Ynez mountain range reaching east-to-west, cascading into a south-facing Pacific coastline, the beautiful Hilton Santa Barbara Beachfront Resort welcomes you for four days of driving, dining and exploring. Set across eight villa-style buildings along California's Central coastline, the Hilton Santa Barbara Beachfront Resort has something for everyone – stunning views from every room, casual dining options, large heated outdoor pool, coastal indoor/outdoor event space, and recreation on land and water. 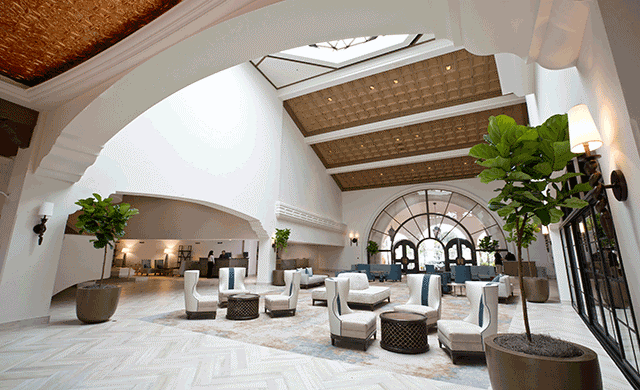 As a registered participant of Treffen Santa Barbara, a special discounted rate has been reserved for PCA members at this luxurious, world-famous, 4-star resort. Room rates available for our Treffen Santa Barbara program: $249.00 plus applicable tax and a one-time resort fee of $25.00. Event registration opens Wednesday, January 16, 2019 at 3:00 PM (EST). Spa del Mar is adjacent to the resort’s beautiful pool and jacuzzi, it boasts 4 luxurious treatment rooms, including a couple’s room. Enjoy our private, sun-drenched outdoor patio with a tranquil setting of beautiful ferns surrounding our fountain. Here you can take in the refreshing ocean breeze before or after your spa treatments. 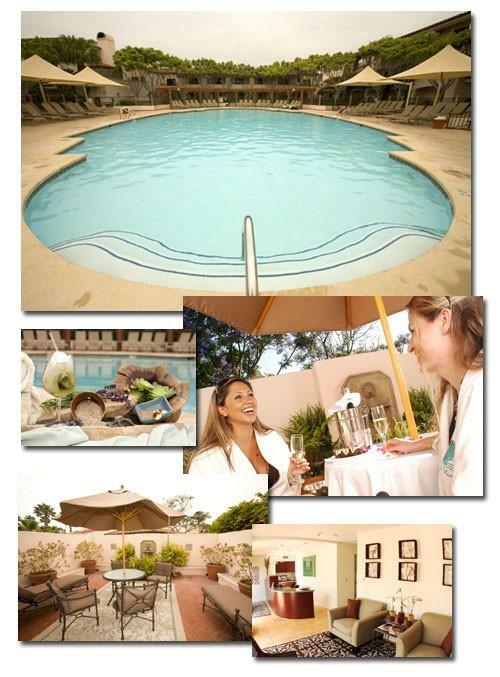 Visit Spa del Mar for a list of spa services. Call (805) 884-8540 to book a treatment or email info@santabarbaraspadelmar.com. Treffen Santa Barbara participants receive 20% discount on spa treatments and services.